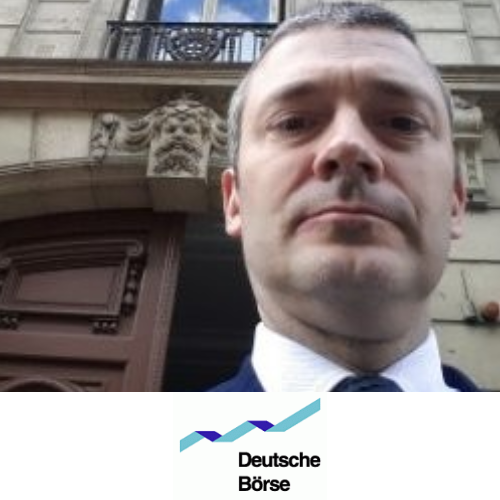 Paul is the Head of Data Science at Deutsche Börse Group. He is responsible for obtaining diverse datasets from across the group, and applying machine learning and AI models to generate insights and improve efficiency. Paul has a Ph.D. in experimental high energy physics where he detected rare patterns at the 1-in-10 billion level amongst trillions of particle decays. Paul has spent time in the aerospace industry, where he developed models of satellite motion and imaging accuracy, and significant time in the financial industry, where he worked as a quant on an equity derivatives trading desk, developed risk models for a clearing house, and co-founded his own derivatives valuation business.